Ah, to live at Mirasol Country Club! Here is where you can find exquisite, luxury real estate for sale and start living a private club life that is beyond compare. Mirasol has a membership that is sophisticated while also friendly; the social calendar is lively and inviting, so you can relax among like-minded neighbors who appreciate the finest things in life. 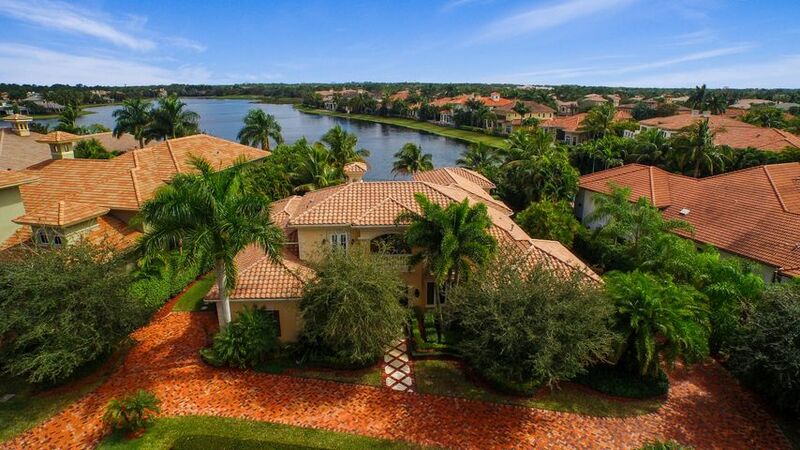 Welcome to the homes for sale in Mirasol, Palm Beach Gardens, Florida. We’re glad you’re here. Frankel Realty Group knows the Mirasol Country Club lifestyle, and wants to help you find your next new home in Mirasol that is everything you’ve dreamed it could be. Call us today for your introduction into this wonderful place to call home. Our agents have expertise in the luxury real estate market that cannot be matched, and we cannot wait to show you around. Luxury homes for sale in Mirasol encompass a lot of choice. 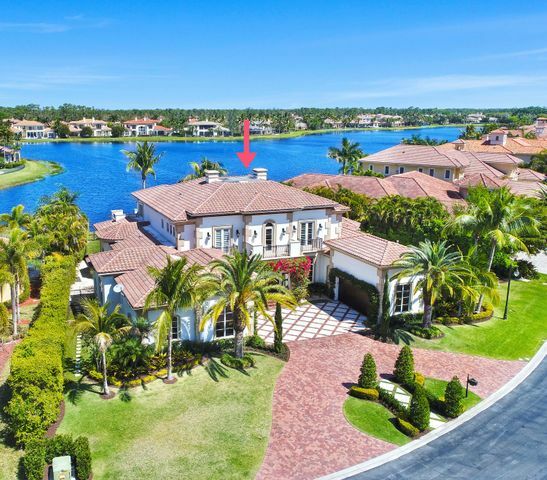 Here you will find everything from palatial estates with over 7,000 square feet of living space, to more compact homes and condos that may still have as many as five bedrooms and over 3,000 square feet of living area. Mirasol homes currently are priced from the mid to high $300,000s to $3.5 million, and of course, all price points in between. Interior and exterior appointments in these homes are absolutely opulent; Jerusalem stone tile, marble pavers, and inlaid wood touches throughout expansive rooms that may include libraries, home theaters, billiard rooms, wine storage rooms, outdoor summer kitchens and beautiful private swimming pools and patios. The luxurious décor and fixtures of Mirasol homes are limited only by the imagination and desires of their owners. For leisurely pastimes at Mirasol, golf certainly ranks at the top. The 36 holes of championship golf on two beautiful courses – Sunset, built in 2001 by Arthur Hills; and Sunrise, by Tom Fazio in 2003 – were host to the PGA Tour’s Honda Classic for three years. Currently, there are three tiers of equity memberships available at Mirasol Country Club to meet the requirements of its residents. Mirasol’s 50,000 square foot Grand Clubhouse is a site to behold, and then relax in, where you will have a choice of formal and casual dining areas – indoors and out — with meals exquisitely prepared at all times. There are also men’s and women’s card rooms, a golf pro shop and locker rooms, a board room, meeting rooms, catering area, lounge and banquet hall. Then head to The Esplanade, a 17,000 square foot state of the art fitness center where you can indulge in activities that will renew your body and soul. This sports and pool area includes a steam and massage room, full-sized swimming pool with lap lanes, 15 clay tennis courts and a tennis pro shop. The world-class professional staff organizes – in addition to expert lessons and coaching – social mixers, tournaments, club championships and holiday events. Player or not, you’ll love it. After tennis, or perhaps instead of, take a class in the aerobics room where all fitness levels are expertly guided, and get buff in the fully-equipped cardiovascular workout room. The staff will gladly tailor a program tailored to your personal fitness needs and goals. Afterwards, retire to the world-class spa where you’ll find a complete range of services to delight the senses. No need to leave home – you have the full European spa experience right here. Also in The Esplanade is the beautifully landscaped pool and deck area where you may choose from such activities as lap swimming, sun bathing, water aerobics classes for adults, events for the kids, and swimming lessons for all ages and levels of ability. Don’t Forget the Mirakids – Mirasol Hasn’t! If you have children, there are currently four excellent public schools available to children of Mirasol residents including Marsh Point Elementary School, Timber Trace Elementary School, Watson B. Duncan Middle School and William T. Dwyer High School. Additionally, there is a fine assortment of private schools throughout the Palm Beach Gardens area. During the school year, and especially summer breaks, Mirasol presents a full program of activities and educational opportunities for children of all ages. These include all kinds of summer camps — such as tennis, science, creative arts, golf and scuba — to keep everyone engaged and leaning new skills. During the winter months, Mirasol hosts game nights, carnivals, fireworks shows and kids’ club activities to round out the experiences for all members of the Mirasol family. Mirasol Country Club is justifiably proud of two honors and achievements it has received which are not easily attained by most private clubs. Mirasol has twice been named a Platinum Club of America, most recently in 2012; and its golf course was designated a certified Audubon Cooperative Sanctuary by Audubon International. The club’s efforts to preserve the natural landscape for both Florida wildlife and native plants, combined with its efforts to minimize the environmental impact of golf course operations with sound land management practices led to the awarding of the designation. Your Mirasol home will be one of some 1,200 residences generously sited over 2,300 acres. You’ll be surrounded by unspoiled natural preserves, lovely lakes, and natural Florida landscapes. Yet just outside your community is a close-by Mirasol shopping center featuring a grocery store, banks, restaurants, a gas station and other fine options for life’s daily necessities. 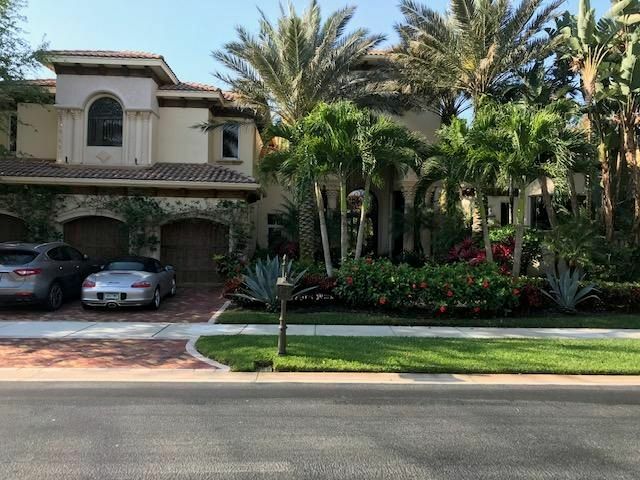 The city of Palm Beach Gardens, nearby Jupiter and of course, West Palm Beach offer a myriad of entertainment and cultural options, easy access to I-95 and the Florida Turnpike, and for longer journeys, Palm Beach International Airport is just 14 miles south. Plus, Palm Beach County’s upscale shopping is renowned far and wide by those who like to shop luxury stores from all over the world. 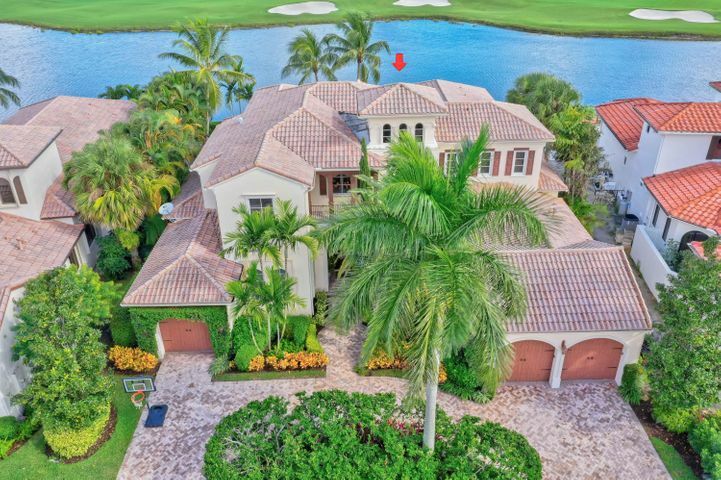 Consider calling Frankel Realty Group when you’d like to choose Mirasol Country Club real estate for your next new residence, winter home, retirement option or vacation place. There is so much about real estate for sale in Mirasol that you will love, and we would love to show you around.